Starfish Bay Children’s Books has the laudable mission of publishing imaginative and intriguing children’s books from around the world. The company has two specialities. For teachers and parents: We carefully select a range of translated books from around the world that are excellent stories with imaginative and intriguing illustrations. We hope teachers and parents will find these books useful in encouraging children’s cultural awareness. For writers: We would like to publish original creative work by both new and established authors. We publish books through a traditional process. We help authors to fulfil their dreams, and children to benefit from their imaginings. Submission guidelines for writers here. I checked out some Starfish Bay books recently, courtesy of publisher, Luke Hou. I was particularly impressed with the standard of the physical products - both hardback and paperback versions are sturdy and have good quality paper. Young hearts will be won by Muddle, a naive and inquisitive duck. Muddle notices her friend Mo (who is, in fact, a goat) does not fit the duck stereotype. For instance, Mo’s beak is hairy and his feet don’t waddle. Muddle breaks it to Mo that he is a goat, then panics that she might be a goat too. The simple and charming story, which will appeal to preschoolers, is enhanced by Robinson’s uncluttered illustrations on a textured brown paper background. When you think of a toy fairy, do you imagine an older gentleman in a bow-tie, suspenders and a beret? (And clothes of course.) Young Joe discovers the toys he leaves littering his room are actually being taken by the Toy Fairy, and decided to do something about it. There’s something warm and friendly about the pencil and watercolour illustrations, and Thatcher conveys a wealth of extra information in them. Kids will particularly love the double page spread of the Toy Fairy’s workshop. Snowy Night reminds me of a folk tale and poem in one. A hare, a fox and a bear all seek shelter with Peter on a freezing winter's night. They all promise to behave but early next morning all leave to avoid being eaten themselves. I love Australian writing and illustrating. But I also love books with origins elsewhere. 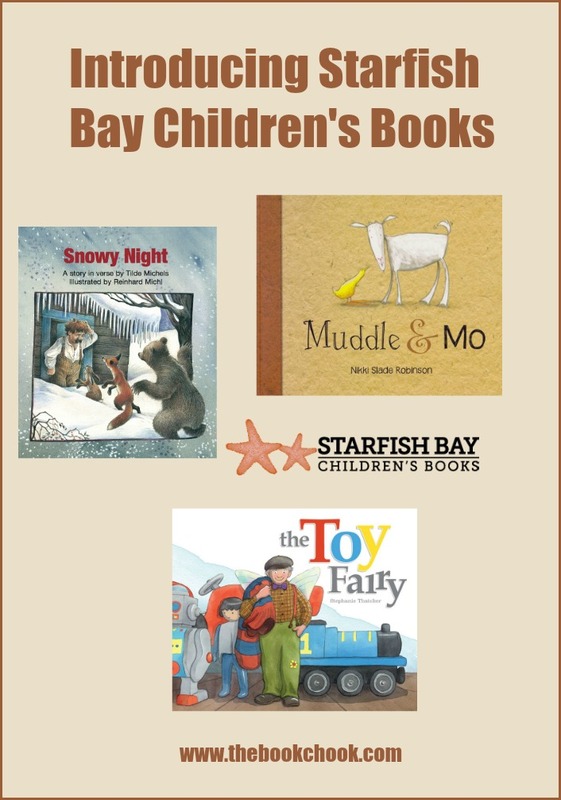 If you’re looking to broaden your children’s literary horizons and introduce them to different cultures and literary traditions, look for Starfish Bay books. They are available internationally (Australia, NZ, US, Canada) and you can find the distributors here.